A nice cross frame from Manufrance (St. Etienne). Their brand name is Hirondelle. 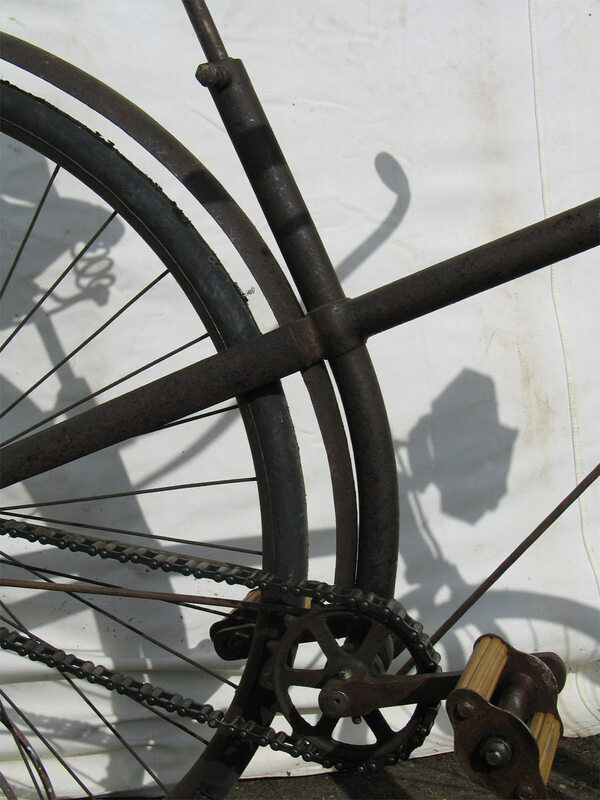 More about Manufrance and Hirondelle and their link with Gauthier on another page. Like most cross frames of the period this bike has two 30 inch sizes wheels. 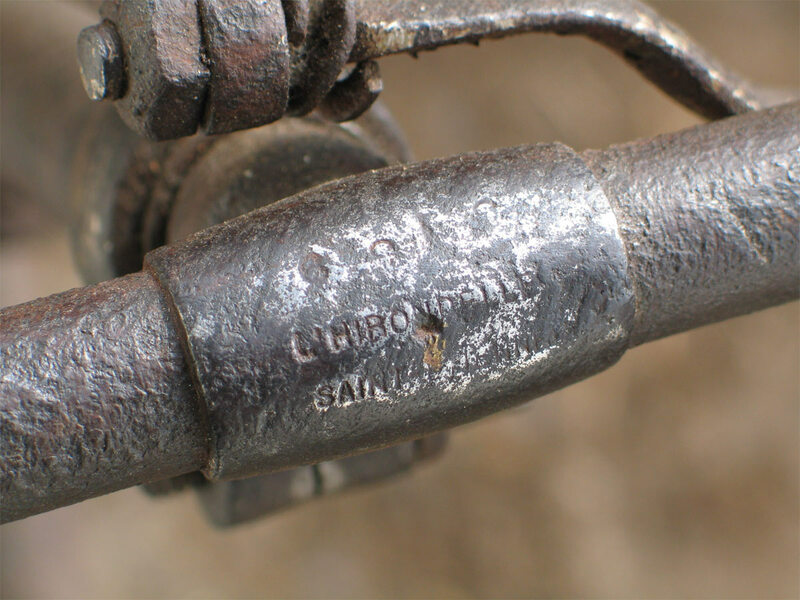 The serial number 3139 and 'L'HIRONDELLE' is inscripted on top of the handlebars. Serial is also on the brake lever and on both hubs. I think it dates from 1889-1890. The bike is not shown in any Manufrance catalogue of those years. 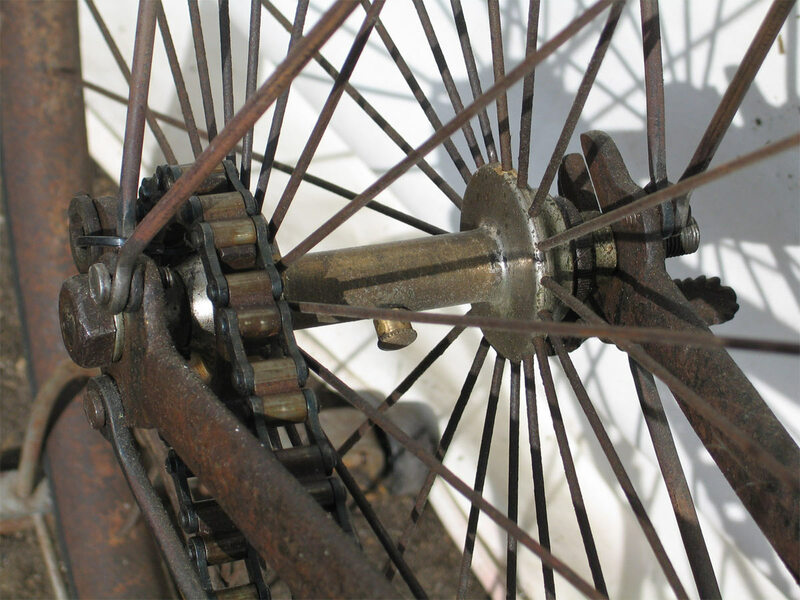 On the hubs we read 'Simplex', which was a brand name of Bown Aeolus, a major producer of ball bearings and pedals. It may be one of the early Gauthier models, but it can also be assembled by Manufrance from imported British parts. We just don't know. 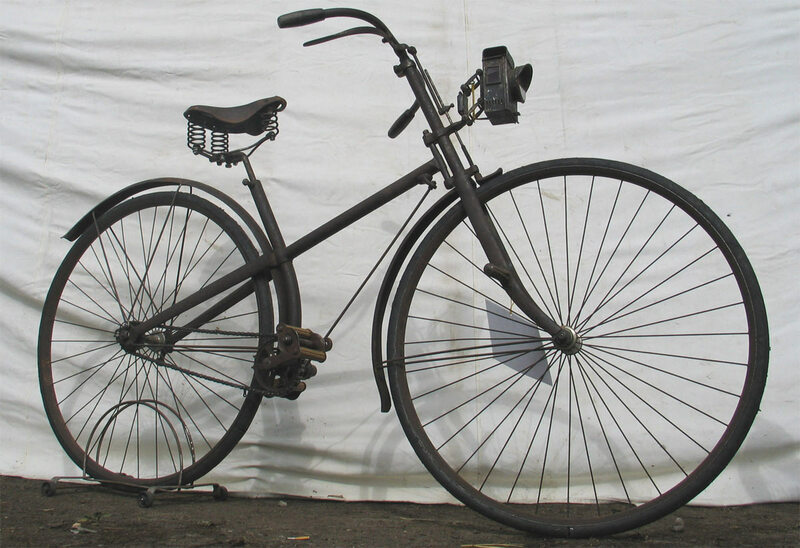 I like the antique lamp, it adds a lot to the original 'looks' of this bike. 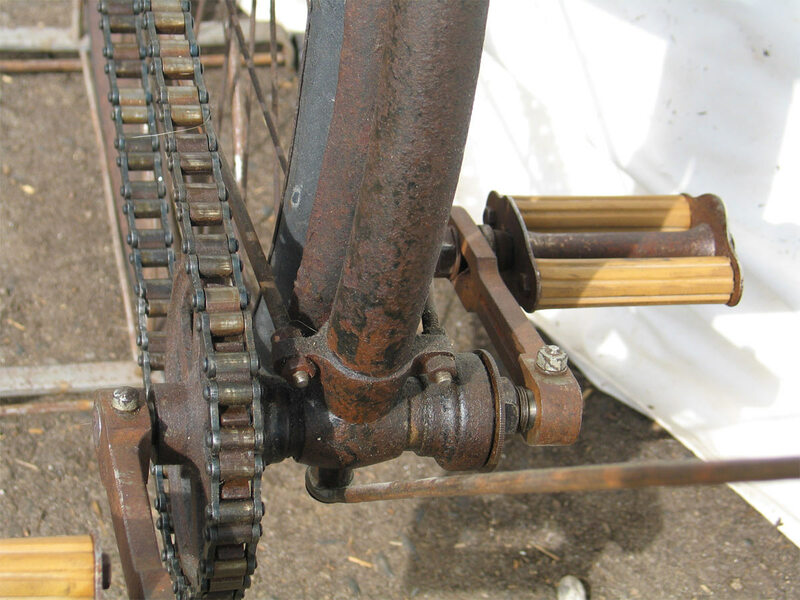 Some parts, like cranks and pedals, are later replacements. Owner lets them rust a little, to make them look more original. 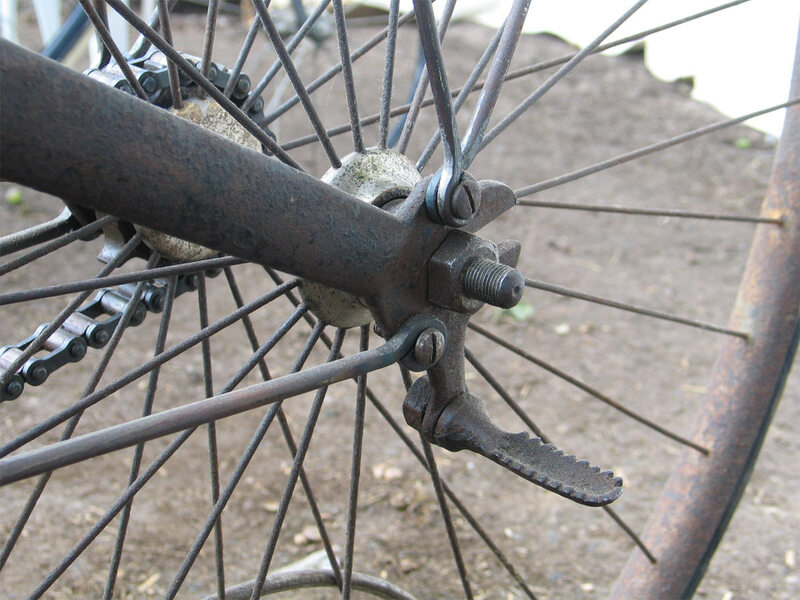 This is a good thing, I do it myself, although it can give problems with bicycle-archeologists in the future. How will people in 100 or 200 years know what is original and what is replica? 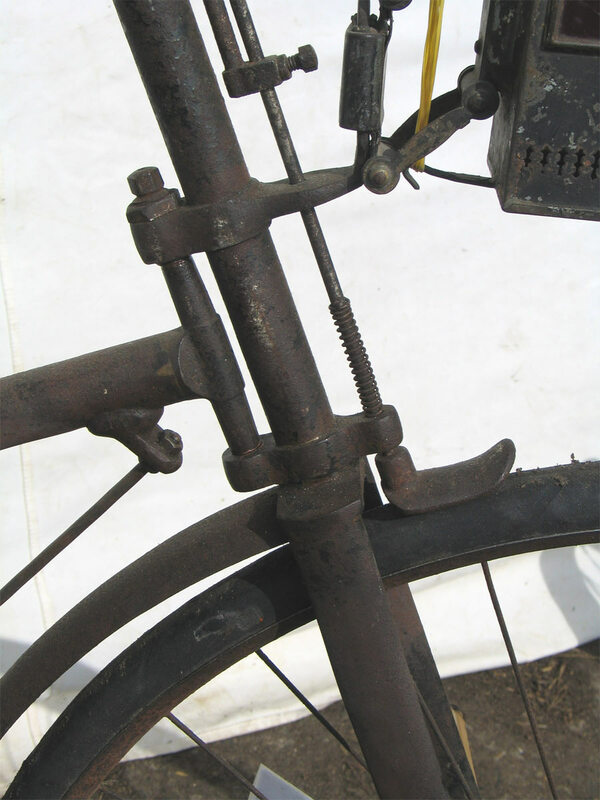 That is why the owner of this bike often makes an inscription in the replica parts, with the year of production.